In a rare occasion, the World Health Organization Executive Board today resorted to recorded voting to decide on a politically-charged question, as Israel requested the deletion of an agenda item for the next World Health Assembly relating to the health of Palestinians in occupied territories. The Board ultimately voted against removing the agenda item for the next WHA in May. The 144th WHO Executive Board meeting, took place from 24 January – 1 February, wrapping up earlier today. The Board approves the Health Assembly provisional agenda. Member states are allowed to make proposals to add to, or amend, the draft agenda. The vote of the 34 Board members was 14 votes against, and 6 in favour, with 13 abstentions, and one absence. Israel, in a letter to WHO Director General Tedros Adhanom Gheyebresus (Dr Tedros), sent a few days ago, requested that the health conditions of Palestinians no longer be a standalone agenda item at the World Health Assembly, which was immediately challenged by Syria and Palestine. This morning, with no hope of consensus after extensive informal consultations, Executive Board Chair Brazilian Ambassador Maria Nazareth Farani Azevêdo suggested voting as the best way out of a political pit. The draft WHA agenda [pdf], turned into a provisional agenda by the approval of the Executive Board today, shows the topic: Health conditions in the occupied Palestinian territory, including East Jerusalem, and in the occupied Syrian Golan as Item 14 (Committee B). The Israeli ambassador said Israel positively views WHO’s assistance programme to Palestinians and does not object to any professional discussion regarding the ways and means to improve health conditions of the Palestinians. 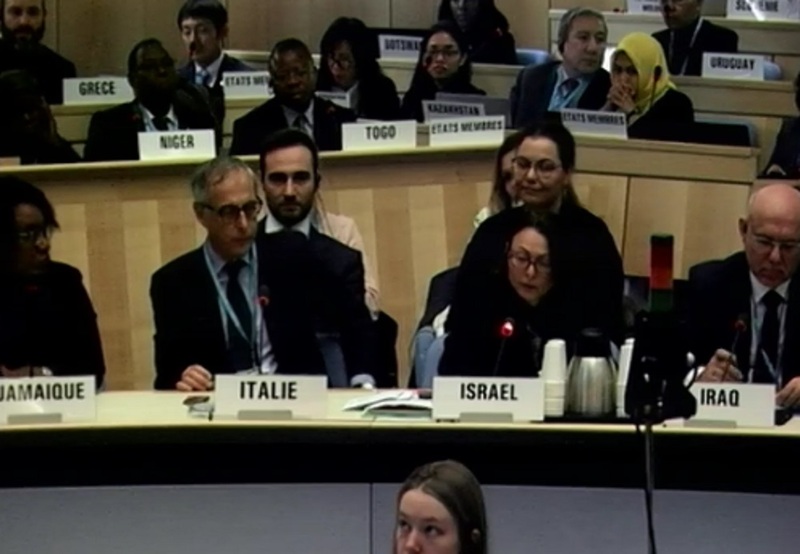 Israel suggested to address the issue of Palestinians health under agenda item 11.2 (Public health emergency preparedness and response), sub-item WHO’s work in health emergencies (Committee A). Committee A deals with technical and health matters, and Committee B financial and management issues, according to WHO. The Syrian ambassador replied that Israel is attempting to evade its legal obligations under the International Health Regulations as an occupying state. The item on the WHA draft agenda is of pure technical nature, he said, adding that the pollicisation of the item comes from Israel’s efforts to influence the WHO Executive Board as it recently joined to serve a political agenda. Palestine, an observer to the WHO, also alleged Israel was attempting to manipulate the Board, and underlined the need for WHO’s monitoring of the situation in the occupied Palestinian territory, and support for capacity building, universal health coverage, access to vaccines, and generally access to medical services. A number of Board members chose abstention when asked whether or not they support Israel’s proposal to amend the agenda. Those in favour of the change were mostly developed countries. The following countries voted in favour of the proposed change in the agenda: The Netherlands, Germany, Australia, Burundi, the United States, and Israel. Countries who chose to abstain were: Jamaica, Japan, Tanzania, Romania, Zambia, Benin, Brazil, Colombia, Fiji, Finland, Gabon, Georgia, and Italy. EB member Eswatini (formerly Swaziland) was not present for the vote.